One Eternal Day: A purely private freedom? .... 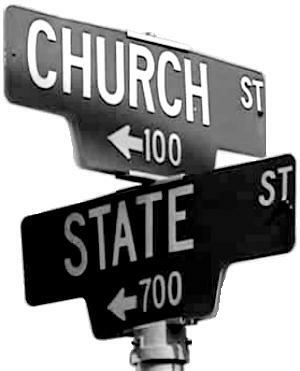 Whenever a church or house of worship ceases to be simply inward-looking, when it in any way engages or serves the wider public, it becomes subject to much the same sort of government regulation as any secular entity. Religious freedom is a purely private freedom. The moment you enter the public sphere, you’re subject to regulation. The public sphere is by definition secular, not pluralistic, with its tone, terms, and limits set by governmental authority. Now, I don’t mean to argue that religious freedom is or should be absolute, that religious organizations should never be subject to any sort of regulation. I’m at least somewhat comfortable with a compelling state interest test to justify regulation. But here the Obama Administration seems to go further than that. The logic of its argument in these two cases is that any religious institution that is public-serving has to behave in many instances (those determined by the state) like every other public-serving organization. The religious presence in the public square can’t be distinctive except in ways the government permits.